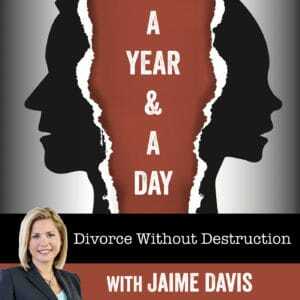 The purpose of “A Year and a Day” is to provide information and tips for getting through a separation and divorce without destroying family relationships or the family finances. The podcast is available on iTunes and streaming on our website. Episodes include conversations with divorce-related professionals including psychologists, lawyers, and mediators, as well as other professionals and will cover topics relevant to separation and divorce in North Carolina. Season 2 Episode 3: How will being separated affect my inheritance rights? Season 2 Episode 1: What Happens to the Family Business in a Divorce?